Push Fitness for Women started in Indianapolis, in 2004 and are still locally owned and operated so our members receive great customer service and see familiar faces. We’ve set out to combine the top services we feel women look for in a gym/spa setting including massage and skin care services. Our members experience great workouts and great rewards all in one place! Our members get exactly what the female body needs because we specialize in women-specific personal training and Reformer Pilates. We have an expansive group class schedule which includes Zumba, Mat Pilates, Yoga, Cardio and Chair Yoga. We’re fitness gurus, not pushy sales-people. 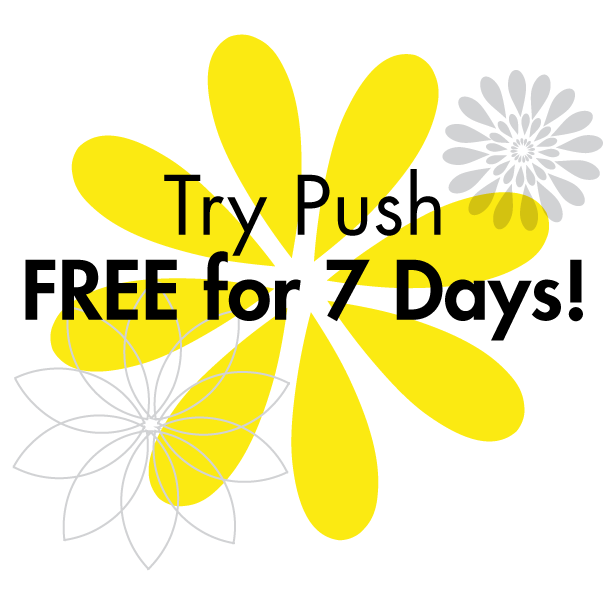 We give anyone interested in joining Push a FREE, Full-Access 7-day membership to try us out.